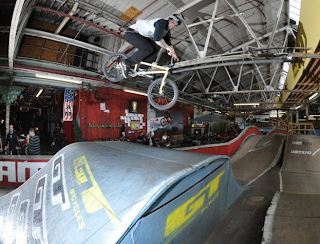 Steve Morse headed out to Ray's MTB Park with a bunch of fellow Connecticut BMX riders a few weekends ago. Check out the rad photo below shot by Justin Luong. Also, check out the video below shot by Matt Horak. Rays MTB from Matt Horak on Vimeo.